Tucked into the enclave of Lost Canyon, this Desert Contemporary home is one of only 35 opportunities to enjoy the ultimate in privacy and exclusivity, so desirable for the discriminating buyer. 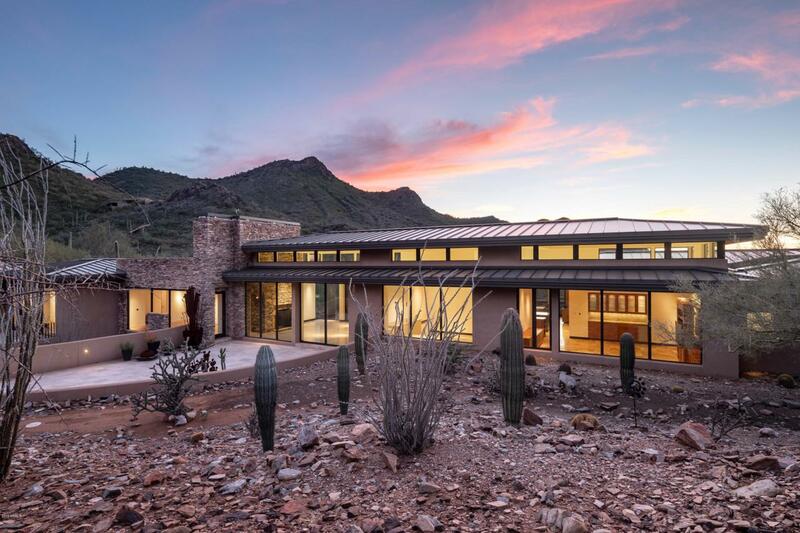 Designed by renowned architect George Christensen and built by Kitchell Construction, this forward thinking home was one of the first built under Scottsdale's Green Building Program and won a Valley Forward Award for environmentally friendly design. At just over 8,000 SF, with four bedrooms and six bathrooms, the single level home is separated into zones by a bridge over a natural wash, with the master bedroom and office on one end and the family room, home theater kitchen and more on the other. The style of this home is the perfect backdrop for interiors ranging from traditional to contemporary.